The modern-day mobile phenomenon has extended to healthcare with mobile health technology (mHealth) offering enormous benefits for patients, providers, and healthcare marketers. mHealth provides patients with better access to medical information and resources, while giving providers greater monitoring capabilities and ensuring lower costs for everyone. Unfortunately, very few people are taking advantage of these mobile healthcare opportunities. A recent study conducted by Blue Chip Patient Recruitment showed that only 44 percent of physicians used their smartphones to occasionally connect with patients and only 15 percent of patients turned to their mobile devices for health purposes. 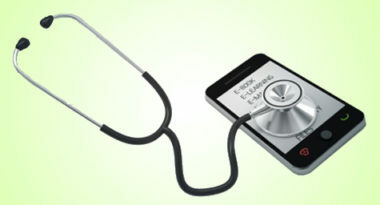 MediaPost.com featured more of these surprising findings in an attempt to shed some light on how people are missing out on the miracle of mHealth. The study focused on how mHealth could be used to connect patients with clinical trials and included patients, physicians, and clinical trial organizers. Most of the participants had purchased a smartphone only within the last three years, most likely because they were slightly older and this demographic is often slower to acquire new technology. While clinical trials were the emphasis of the study, the results could be applied to mobile healthcare as a whole. While more than three-quarters of the respondents used their mobile devices regularly for communicating, fewer than half used them for online purposes. This relatively low level of mobile usage for computer-related tasks was a prime reason that many were not aware of their mHealth options. Conversely, 14 percent of participants were early adopters who had owned their smartphones for more than three years and were actively using mHealth. A full 67 percent of them were likely to receive clinical data information on their mobile devices and almost 40 percent were apt to visit health-oriented websites. While this group may be small, their online activity bodes well for the future of mHealth by indicating their satisfaction with these mobile healthcare resources. The survey results provided many takeaways for marketers regarding the optimal ways to structure their future healthcare marketing campaigns. First, it is essential for marketers to optimize their websites for mobile viewing by making them simple to navigate and featuring healthcare content related to the mobile experience. Also, privacy must be a priority since both patients and providers questioned the security of revealing their personal health information in a mobile forum. There needs to be clear messaging telling visitors that their health information is secure in order to compel them to share such personal data online. Since 61 percent of patients reported checking their email in the waiting room and almost half said they texted or went online while waiting, physicians would be wise to offer free Wi-Fi in their offices. Interestingly, almost 80 percent of patients said they would use their mobile devices in medical offices if the option were available. This complementary service could greatly benefit all physicians, especially those using mobile methods to recruit clinical trial participants. Overall, the study showed that too many people were currently overlooking the abundance of mHealth opportunities. Fortunately, the growing popularity of mobile healthcare resources among early adopters and the rising prevalence of mobile usage for older demographics make healthcare marketing professionals hopeful that mHealth will thrive in the future. To discover how mobile can help to improve your healthcare marketing results, contact MDG Advertising. At MDG Advertising, our 360° marketing approach uses just the right mix of traditional and online media to reach your healthcare marketing goals. While some industries may fare better in print and others online, we strive to create a balanced approach where digital and traditional marketing efforts support each other and your marketing message is tailored to the medium. To stay on top of the latest mobile trends in healthcare marketing, contact MDG Advertising.